Which direct booking strategy you are you planning to try next? We asked the hundreds of hoteliers that very question at last week’s Direct Booking Summit in New York and we have to admit that we weren’t expecting the answer. By far the favourite was better email marketing, with over 40% of attendees picking it out. There’s no denying the power of an expertly crafted email, but that result took us aback because there tends to be a lot more noise around newer tactics like social media and metasearch. 72% of customers, including millennials, prefer to receive promotional messages via email. You get triple the conversion rate in terms of click-through with email than you do with social media. It’s cheap and "practically free" if you have the right provider. If you segment your database your emails will have a 14.3% higher open rate, double the click-through rate and six times the conversion rate. It’s tricky to argue with those numbers, but in case any one was thinking about it, Ross hammered his point home with a word of warning; if you don’t fully embrace email, OTAs will fill the void. “In the last 30 days, I’ve received six promo emails from Expedia, 13 from Tripadvisor and 10 from hotels.com. That’s 23 from the Expedia company alone,” he told the audience. In Ross’s opinion there’s room for a series of emails across the booking process. You could start with an email to inspire prospective guests, move to a booking confirmation, then a pre-arrival message, an on-property update and finally to a post-stay follow-up. Have a clear message, and preferably only one. Once you’ve written the copy go back and cut it as much as you can. You need to be clear and get to what you want your audience to know right away. Look at the email from the recipient’s perspective and ask yourself: is it interesting, is it relevant and is it worth my time? As a bonus, for anyone considering including a call-to-action in their message, she suggests keeping it very clear, actionable and short. Something like “book now” or “get in touch” will do the job. 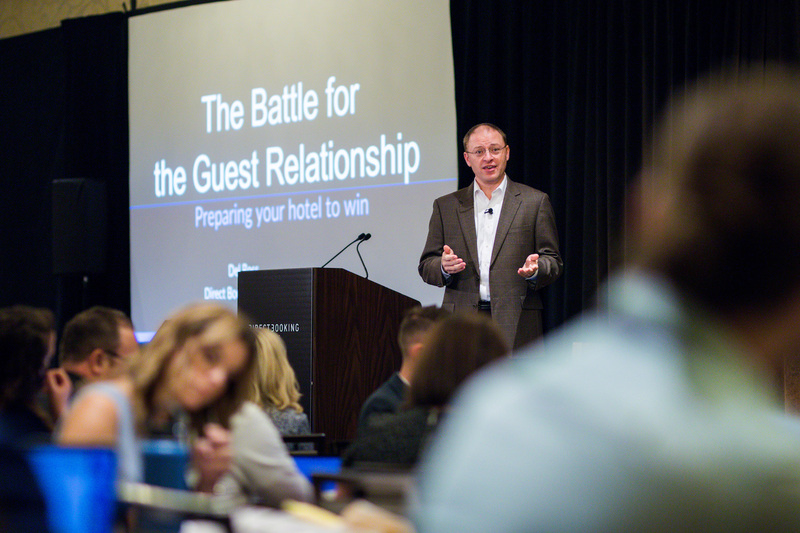 Email was just one of the many subjects we covered at the Direct Booking Summit Americas. Make sure you check out my colleague Lily’s super summary to get a flavour of the other topics that had tongues wagging.